A good wealth management strategy strikes a balance between family and retirement. Compromising on a wealth management strategy to meet the demands of a growing family can jeopardize your retirement. Once we become parents, our focus shifts to our children, emotionally and financially, and it’s really tempting to stretch ourselves to give them the best life possible. But how happy will they be later in life if mom and dad can’t take care of themselves in retirement? Raising a child is not cheap. In 2013, according to the U.S. Department of Agriculture, raising a child born in 2013 to the age of 18 will cost you just over $245,000, before family vacations, college funding, and other “extras.” Multiply that by two, three or four, and you’re running a million-dollar household. Thankfully, as new parents, there are steps you can take to save yourself now so that you can confidently pursue a healthy retirement in the future, during each stage of your child’s life. Instead of buying brand new toys and clothes, consider buying used products or cutting back on the number of products you buy. For first-time parents with brand new babies, cutting back on the amount of gear is a good start. Shop mom-to-mom sales or borrow items from friends before you drop cash on the latest and greatest baby products. Accept the generosity of people who offer you second-hand coats and shoes, or sporting equipment, or offer to buy these items. Whatever your kids’ age, be sure to set a budget in line with your retirement savings goals so you’re not scrambling to save in the future. And don’t “sacrifice” your 401(k) contribution or stock options so your child can participate in extra-curricular activities. Instead, carefully pick and choose these activities, rather than overloading them. So your kid wants to play lacrosse and take swimming lesson? Here’s what US News reports on striking a balance between investing for retirement and investing in your children: “When considering activities, less may actually be more. Ask yourself what your child will experience with each group and how this activity will add value to the development of their social and educational skills.” More importantly, not caving into every request teaches your children financial responsibility. Need help to prioritize parenthood and your retirement savings? Visit mooneylyons.com or call us at 1.847.382.2600 to discover an investment advisor can help you stay on track. 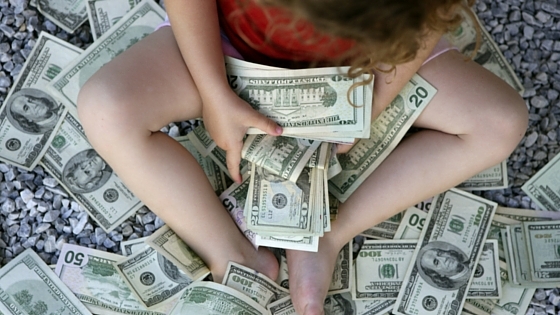 Are Your Kids Ruining Your Retirement Plans? US News. 12, May 2016.